Payday Senior Labor Reporter Mike Elk was on Democracy Now with Amy Goodman and Juan Gonzalez talking this morning along with West Virginia Middle School Teacher Jay O’Neal about how the West Virginia Teachers’ strike is already starting to have an effect on teachers nationwide. Recently, our car broke down and we want to get back to West Virginia as quickly as possible. However, we need your help to get back out on the road. 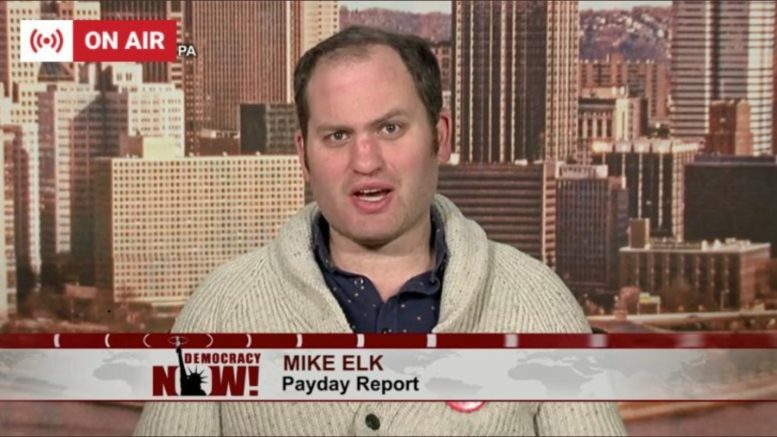 Be the first to comment on "Payday’s Mike Elk on Democracy Now Talking West Virginia Teacher’s Strike"